Click here to learn more about how we rent our units. Our units are rented by the week: check-in on a Saturday and check-out on the following Saturday. Except during low season, each rental must begin on a Saturday and end on the following Saturday. This also means that stays must be in multiples of one week. Persons renting for more than one week sometimes must move from one unit to the next on Saturdays, but our staff helps make this transition painless. We reference each Saturday to Saturday block of time by week number, with the first Saturday of every year beginning week 1. CLICK HERE to view a Saturday to Saturday weekly calendar. Periodically, a year will contain 53 weeks. Our friendly staff will answer any questions you may have and assist you in reserving your stay. We are available to take reservations any time during office hours. Please CLICK HERE to view our grounds layout. Two bedrooms sleep 6, and one bedrooms sleep 4. Occupancy is strictly enforced. 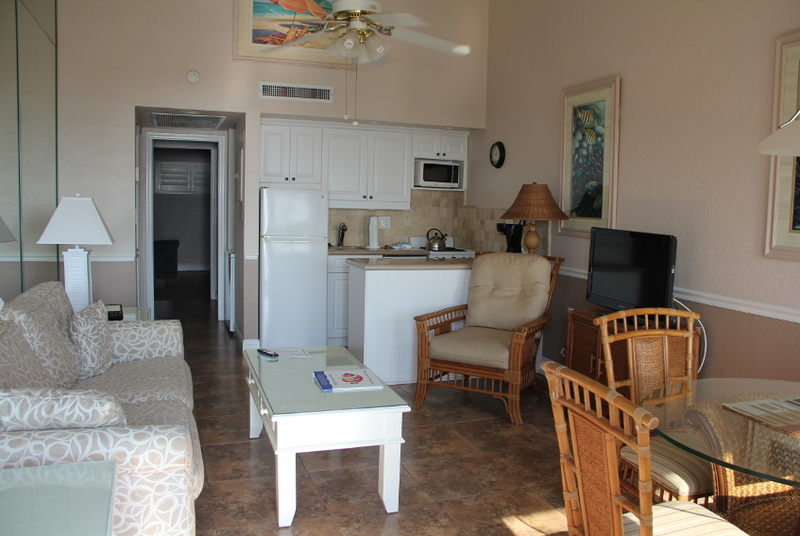 Our one bedroom units set the standard for South Florida beach get-aways. All one-bedroom units are on the first floor and are easily accessible. Each unit has a deck facing the ocean, and the warm interior and comforts guarantee a pleasant stay. Each one bedroom deluxe is nestled away on the South side of our property with easy pool access. 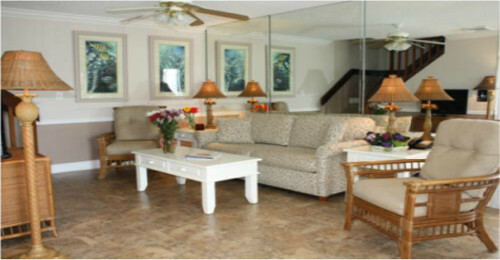 They also offer at least two exposures to the ocean and a larger, rearranged floorplan compared to our standard one-bedroom. Our "B" units are centrally located on our property, are two-story, and offer some of the most spectacular and spacious accommodations for any party of 6 or less. 2BR/1BA "C" UnitsPremium location and cozy accommodations. Our "C" units are renowned for their placement, and are located on the edge of our property next to the beach access gate. 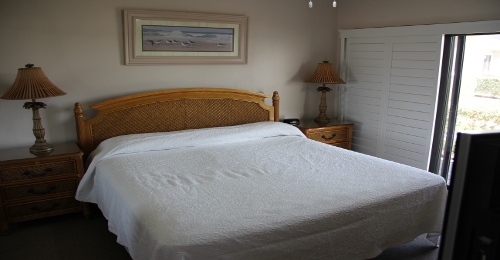 Each bedroom features a seperate deck with an ocean view, perfect for parties looking for privacy. 2BR/1BA "E" unitsOur most private two bedroom units. Each "E" unit provides a spacious floorplan with a walk-in closet, and are located on the Western edge of our property, offering plenty of privacy. Units E14 and E20 are the only units located exclusively on the second floor, and offer an elevated private deck with an ocean view; lounge chairs and a dining set are provided for your enjoyment. Each unit has a flatscreen TV with cable including HBO in every unit. We understand that Internet access is not just a luxury. Connecting and surfing could not be any easier, and our fast connection is sure to meet any need. Break the habit of eating out every night of your vacation. Our well appointed kitchens will empower you to make the meal of your dreams directly on the beach. Every unit has a washer and dryer provided. In addition, we provide a starter pack of detergent to help you keep clean. Additional detergent is available on-site for a small fee. Rates for holiday weeks during mid/low season may be higher. The vast majority of our business consists of full-week rentals from a Saturday night to the following Saturday morning. To help coordinate your vacation, please click here to view week start dates. Mid Season runs from the week after Easter through Labor Day week. Low Season runs from the week after Labor Day through the week before Christmas.